In this tutorial, we will are going to create an exercise applet on plotting points. 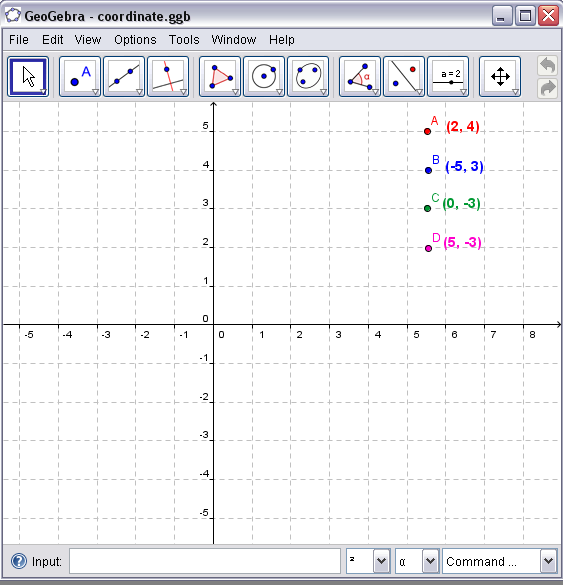 This exercise is recommended for students who were just introduced to plotting points in the coordinate plane. The user of this applet is going to drag four points to the given coordinates. Each time a point is dragged to the correct place, the text “Correct” will appear. next to the given coordinates. Click here to view the output of the tutorial.